Unleash your ability to take FULL control of your life in only 4 weeks. 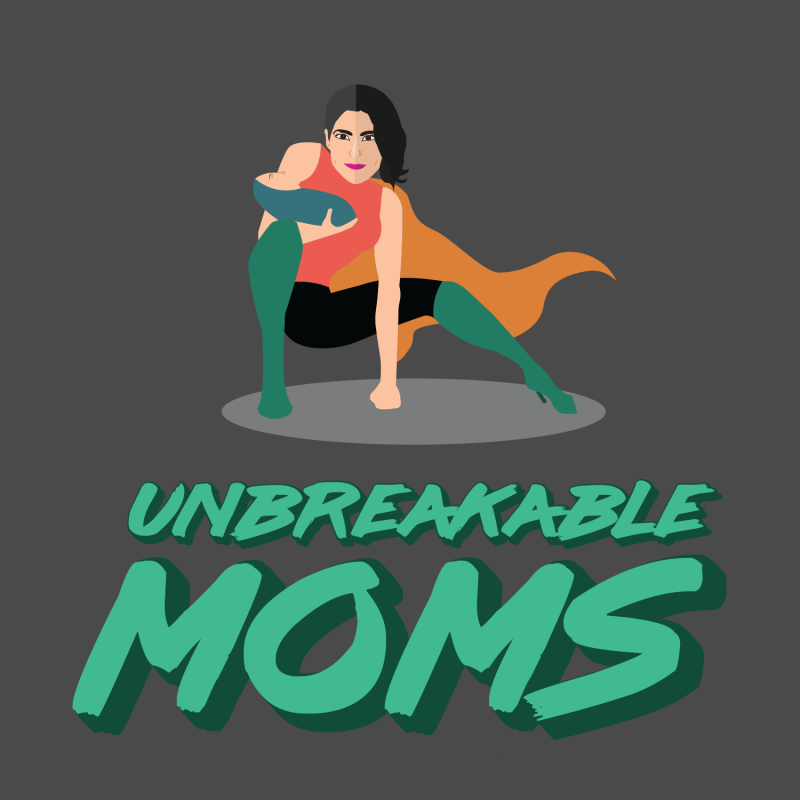 This 4-week coaching program –designed specifically for single moms– will guide you to an UnbreakAble life, so you can be the mother you always envisioned – single mom and all. Is that inner voice telling you that you’re not good enough? Are you full of anger, regret, or resentment? Are you in danger of complete exhaustion and depression? Is it hurting your children? Or your relationships? Or your well-being? Are you not living up to the woman or mother you’d always thought you would be? I understand. I’m a solo mom, too. I’ve been a single mom with full custody since my daughter was born. I raised her in the middle of my residency training, an intense and grueling post-medical school training program. I was working 80-100 hours a week while raising an infant, doing absurd things like bringing her to the hospital so I could deliver a baby, and often leaving her with neighbors and even co-workers. I became disconnected from the work I was so passionate about, not caring about what happened to my patients. I couldn’t understand the joy of motherhood. I didn’t want to spend time with my baby, feeling it was even more draining. I even contemplated quitting residency and medicine all together. I even contemplated taking my own life. But I had a choice, and I made a change. I transformed. I grew as a mother. I had patience. I felt rested. I had fun. I stopped yelling. I stopped resisting single motherhood and instead embraced it. I fell in love with my daughter again. I got better at my job. I had deep compassion for my patients. I connected with them. They trusted me and took steps for bettering their lives. I remembered why I went into medicine and even had the strength and courage to open my own medical practice. I fell in love with healing and helping others again. I’m an expert in guiding others in living their fullest and optimal lives. 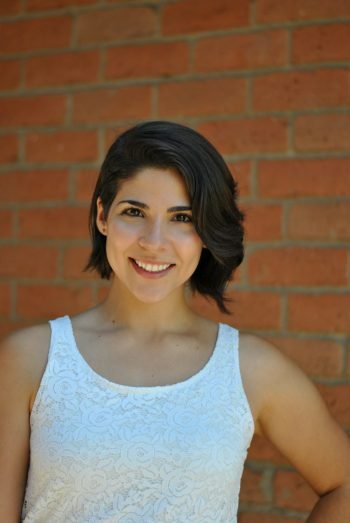 Dr. Juli La Rocca, M.D. My background includes a variety of training and experiences that led me to this profession. I’ve studied integrative health, neuroscience, human transformation and psychology. I’ve trained in martial arts, dance, trumpet, nutrition, fitness, meditation, productivity, and accelerated learning among others! Through my years of practice, I have come to realize the key to wellness and happiness has very little to do with the pills prescribed, but rather with our mind and mindset. Even amidst the turmoil after my transformation, it was one of the happiest and most productive times of my life. I didn’t crumble under the stress – I harnessed it. Pay attention to every word, because this may be the most important message you ever read as a parent. I am always humbled by this question, because the answer is actually quite simple. I’m NOT a superhuman. I require 8 hours of sleep a night to feel fully functional and rested. I *occasionally* lose my sh*t when my kid is acting out. I HATE bedtime. I cry, a lot. I’m a pretty normal mom. I’m intensely introverted and have found raising a young child to be the most physically and emotionally challenging thing I have ever done. But I don’t let that stop me. I got help. I worked on MYSELF. I realized no one else was going to take care of me. That was my reality. I had guidance, but I HAD to take care of myself. I had to be “selfish.” I put myself first, like everyone always tells you to do, yet shames you when you do it. UnbreakAble means to not only to overcome challenges, but to NEVER BE KNOCKED DOWN from them in the first place. Then – like a diamond forged under intense pressure – you become EVEN STRONGER after each battle. Want to learn more? 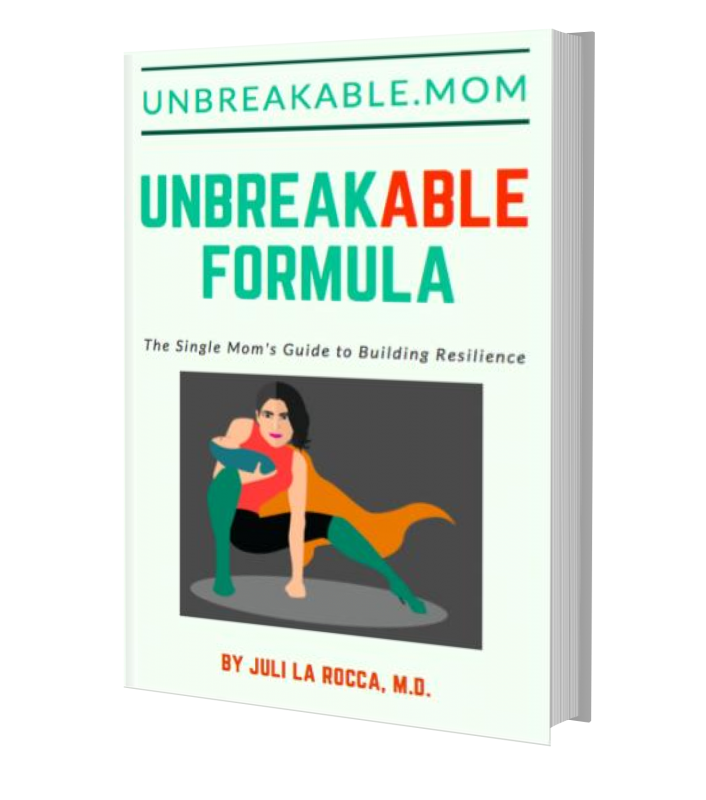 Download the Unbreakable Formula here. By taking the Make Me Unbreakable Challenge, in 4 weeks you will experience a transformation and transcendence into an unbreakable life. This is a 4-week coaching program and opportunity to regain control and confidence of single motherhood. You will experience FORGIVENESS and RELEASE of the anger and resentment. You will have equanimity and patience. You will embrace your life and become the mother you always wanted to be for your children – A happy, vibrant, fun, and patient mother you always envisioned you would be – the perfect role model for how you want your children to become. You will THRIVE in the face of adversity. You will access and trust your own UnbreakAbility you know is inside of you. When I crashed from complete mental, physical, and emotional exhaustion, I hit rock bottom. I knew I had to do something drastic. It took me months on my own to become UnbreakAble. I’m here to give you the tools and resources you need. I’m SO passionate about unleashing your unbreakability and helping you. This could change you and your children’s lives for the better. You can be a happy family – single-momming it and all. We schedule a 20-minute clarity call to establish trust and see if we are a good fit. If we are both happy with the call, I will enroll you in the program. I know that some single moms – for whatever reason – are not in a ready position to pay full price, so I offer payment plans as well. If you’re not satisfied, I give a 100% money back guarantee. No matter what position you’re in, I truly want to give you the gift of improving your life – and your children’s. Are you focusing all of your energy on others? I know. Trust me, I know. It’s not easy being a single parent. Are you truly experiencing the fullest measure of enjoyment and satisfaction from motherhood? And are you really creating the levels of rest, freedom, and independence you know you deserve? Waiting for others to help you, waiting until you have enough money, enough time, your kids are older, waiting for the right partner – WAITING WON’T GET YOU ANYWHERE. You need to take the steps NOW towards a free life for you and your kids. Your life depends on it. Your kids depend on it. I am so passionate about this, I have decided to donate 5% of all proceeds to an impactful non-profit called Project Brave. This organization and This Story are my inspiration for doing what I do. I don’t want that story repeated, and this is something I feel SO STRONGLY about. That’s why I created this program. If after 4 weeks, you are not COMPLETELY satisfied, there is a 100% money back guarantee. This is an offer with absolutely NO RISK. Remember, I’ve been there too. Using my broad experiences, I’ve helped literally hundreds of people into better lives. I’m offering you to take the Make Me UnbreakAble challenge at whatever cost you feel is of value to you. I want to help you too. I want to be there for you. And because you’re here, you no longer have to believe the lies you’ve been telling yourself about not having enough time or money or support or resources. After all, anything life changing is truly invaluable. All you have to do is book your 20 minute introductory call, using the button below. Schedule my free coaching call! I can only accept a total of 30 moms. If you’re ready to change your life, sign up for your FREE clarity call NOW before spots fill up. I CAN NOT accept more than 30 moms – after all, I’m a single mom too, remember? Remember, there is absolutely NO UPFRONT COST to you today. There is only the cost of doing nothing.